Bloggers, online business owners – and even coaches – can easily “open their doors for business” without a firm business plan in place. Some may test the waters to see if they attract any readers, sponsors, or clients and some start out doing this online work as a side gig while working their full-time job. 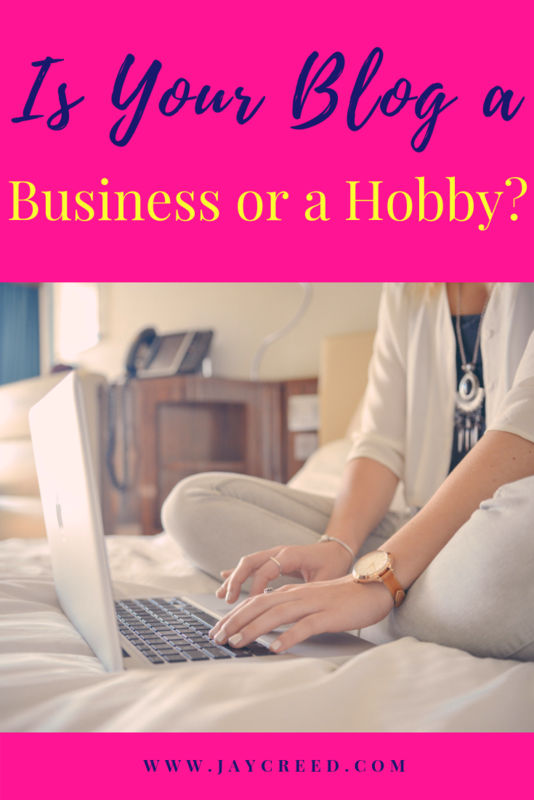 So, if this is how you started your blog, do you have a business or a hobby? Do you have firm blogging hours or are you working sporadic hours as your family or full-time job allows? Do you make the most of your blogging time, working as efficiently as possible, or do you get distracted with social media or other behind-the-scenes tasks? Do you have a business plan, even for one year, which includes expected profits? Do you know how you plan to grow your blog so it makes money? Do you withdraw every penny from your account after clients pay or do you give yourself a pay structure and reinvest some of your profits into software, training, marketing, or other business expenses? You should have an idea now about if your blog is truly a business. Hire a Blog Coach or a Business Coach to guide you. Keep in mind, not everyone needs a business degree to start a business; sometimes a unique product idea or a strong desire to offer services is enough to get started. However, hiring a blog coach or even a business coach is necessary to set up your blog to grow and generate profits. You don’t know what you don’t know and without a coach, you will make many trial and error mistakes. Instead of closing your eyes and hoping for the best, a blog coach or business coach will create a business plan (your blogging blueprint) with you and will guide you through the next steps of the plan with tried and true advice and strategies. A good blog coach also serves as your accountability partner, someone who wants to hear from you about your progress and who will call you out when you don’t do as you promised. Oftentimes knowing someone is expecting results is enough to spur people into action because they don’t want to let down the coach.